GoodReads: The girl known as Gretchen Whitestone has a secret: she used to be part of Adolf Hitler's inner circle. More than a year ago, she made an enemy of her old family friend and fled Munich to live in Oxford, posing as an ordinary German immigrant. 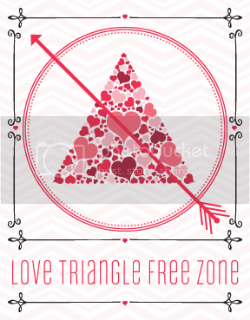 Her love, Daniel Cohen, is a reporter in town, and Gretchen is content. Then a telegram sends Daniel back to Germany, and her world turns upside-down when she learns that Daniel is wanted for murder. To save him, she must return to her homeland and somehow avoid capture and recognition by her former friends, the Nazi elite. And as she and Daniel work to clear his name, they discover a deadly conspiracy stretching from the slums of Berlin to the Reichstag itself. Can they dig up the explosive truth and escape in time - or will Hitler discover them first? 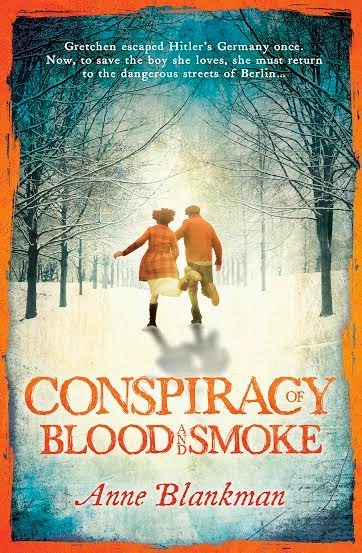 I'm thrilled to reveal the UK cover for Conspiracy of Blood and Smoke by Anne Blankman. I had the pleasure of reading an e-arc back in November 2014, and I have to say that I think it is a brilliant conclusion to Gretchen's and Daniel's story. So, what do you think of the cover? That's pretty! But I have to say - the way her leg kicks out in the back looks odd haha. I really like this cover--it's so cute!--but I think it also undermines the seriousness of the novel. The US cover looks a lot more creepy and serious so I think this is a nice contrast and I love that both Gretchen and Daniel are on the cover. Thanks for sharing, Renu--I wouldn't have seen this cover without this post!